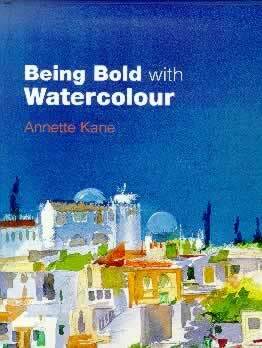 Annette Kane is the author of "Being Bold with Watercolour" and she has been working full time as a painter for over ten years and has had more than 20 solo shows in London at the Catto Gallery, Amsterdam and New York. Her work has also been published and sold world-wide. She now resides in the coastal village of Silverdale in the North West of England with her husband and daughter, Eva.